Germany's Christian Democratic Union (CDU), headed by incumbent Chancellor Angela Merkel, and its Bavarian sister party Christian Social Union (CSU) are currently supported by 38 percent of Germans, whereas the Social Democratic Party (SPD) is projected to gain 27 percent of the vote at the upcoming general elections, according to a poll. MOSCOW (Sputnik) – Germany's Christian Democratic Union (CDU), headed by incumbent Chancellor Angela Merkel, and its Bavarian sister party Christian Social Union (CSU) may count on an 11 percent lead over their main opponent, the Social Democratic Party (SPD), making this a 3-point jump in support since late April, a poll showed on Friday. 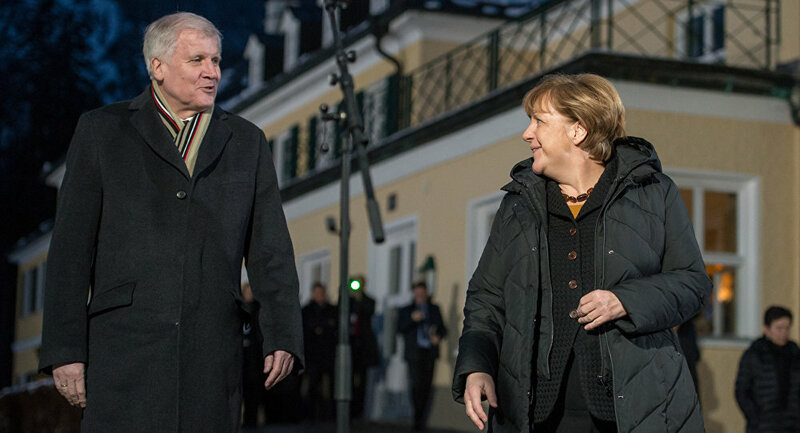 The CDU/CSU bloc is currently supported by 38 percent of Germans, whereas the SDP is projected to gain 27 percent of the vote at the upcoming general elections, the Forschungsgruppe Wahlen for ZDF broadcaster revealed. The Left party came in a distant third with 9 percent of projected votes followed by the eurosceptic Alternative for Germany (AfD) with 7 percent. The poll was carried out on May 16-18 among 1,344 people.